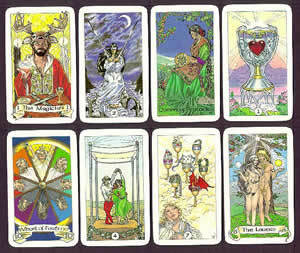 ​​The Tarot is a deck of 78 picture cards. 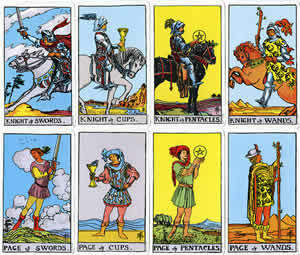 The two major sections of the tarot are the major and minor arcanas. 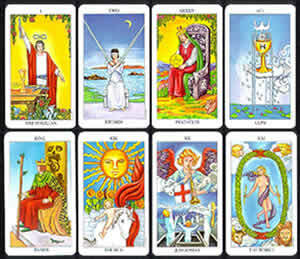 The 22 Major Arcana cards are the foundation of the Tarot and provide the greatest meaning in a reading. The 56 Minor Arcana cards are made up of four suits (Wands, Swords, Cups, and Pentacles). Tarot cards originated in Islamic countries and were brought to Europe in the 14th century. In 1440 Italian royalty created the first tarot deck that was used in a popular card game. The modern use of tarot, for understanding a person’s life and their future, started in the 19th century. 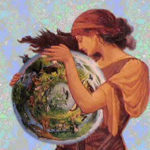 The unique picture on each Tarot card represents a universal archetype and gives it a specific meaning. Each tarot card has an upright meaning and a different meaning when displayed upside down. 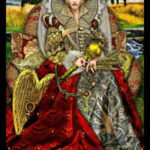 The appeal of tarot comes from the universal archetypes represented in the images. The power of the tarot comes from the intention and intuitive skill of the person interpreting the cards. 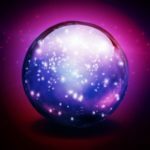 A skilled psychic with a developed sixth chakra can intuitively interpret the universal meaning of the cards and relate them to a client’s life. 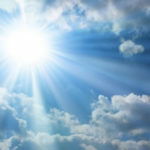 With the correct intention the information gained from the cards can help a client better understand their life and create a better future for themselves. People often take the time to learn tarot so they can do their own readings. 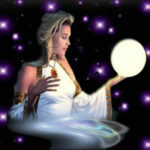 Most people do not have the highly developed intuitive ability of a professional psychic. 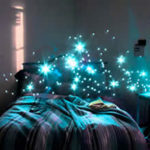 As a result reading for yourself is much different than the process used by a psychic. When reading for themselves a person projects their life history and current situation onto the universal meaning of each card. This personal interpretation of the cards allows a person to consciously understand aspects of themselves and their life that had remained hidden in the unconscious. Read more how tarot cards work in the articles below. ​Learn how the 21 major arcana cards form the foundation of the tarot. 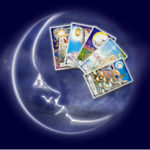 Discover the archetypes represented by each card and the meaning of each card in a tarot reading. ​There are four suits in the minor arcana and 14 cards in each suit. Each card can provide insight into the current issues of your life.